How many times do you turn on the TV and see a million different commercials for the “hottest new toy on the market”? More often than not, those toys are made of cheap plastic, and you know they’ll show signs of use after a short period. As parents, we want our kids to have toys that make them happy. Despite what those commercials lead you to believe, we can do it with wooden toys that will last and provide educational benefits. Read on to find out more about wooden toys and how they can benefit your child. We’ll also review some of our favorites to make your shopping trip a little bit easier. Use the links above to check the latest prices or read our in-depth kids wooden toy reviews below. There’s no doubt that wooden toys usually last longer than plastic, so long as they’re made from high-quality wood. This makes them a timeless option that can be passed down through generations and give a toy a certain sentimental value. Wooden toys are also the ideal option for parents who care about the environment or who want to incorporate the “Montessori method” at home. The Montessori method encourages independence and creative thinking and is known for the use of wooden toys (source). When you think of wooden toys, what’s the first thing that pops into your head? I’m going to guess that you thought of the traditional wooden building blocks which seem to be a staple in every child’s toy box. There are many different options when it comes to wooden toys, and some may be things you’d never think of. 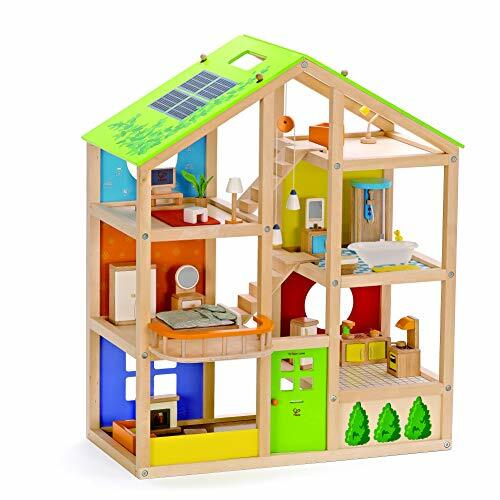 There are toys as simple as doll houses or as complex as wooden puzzle balls. While we may typically associate wooden toys with the younger crowd, there are options out there for older children as well. When choosing the best wooden toys for your child, there are certain things to keep in mind. Let’s take a brief look at those now. Be sure to keep an eye on the recommended age levels for any toy that you buy. When choosing something, you’ll want to make sure that it’s developmentally appropriate for your child. If you buy something that’s too advanced, it could cause frustration and your child may not want to play with it. The same idea goes if it’s too simple. If they find it too easy or not stimulating enough, they’ll get bored with it quickly. While wooden toys are pretty versatile, it’s still important to bear in mind their specific likes and dislikes. If your preschooler loves playing with dolls, a wooden dollhouse would be a good option for them. However, if they’re more into the construction side of things, a wooden workbench may be more suitable. Now that we’ve gone over the basics of what to keep in mind during your search, it’s time to make a decision. Keep in mind your child’s interests and where they’re at developmentally to ensure you choose the best toy for them. 1. Melissa & Doug Dust! Sweep! Mop! How many of you have toddlers who insist on helping with cleanup around the house? If you’re one of those parents, this playset is a go-to choice to add to your toy arsenal. 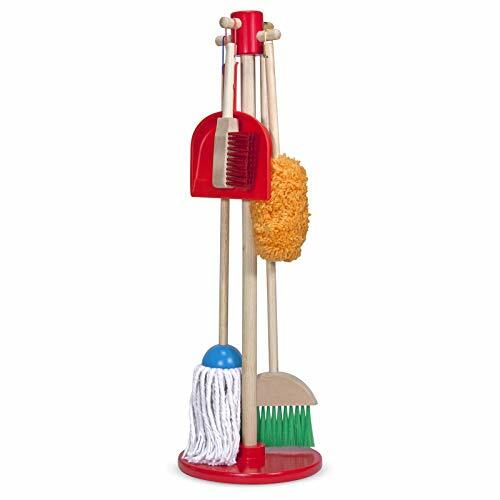 This set comes with a mop, broom, dustpan, brush, and duster. It also has a convenient stand to hang each item on when not in use. For the size of the product, it’s actually lightweight, at just over 4 pounds, and is easy to maneuver around the house. While this set is recommended for children aged 3 and over, it could be suitable for children as young as 18 months. 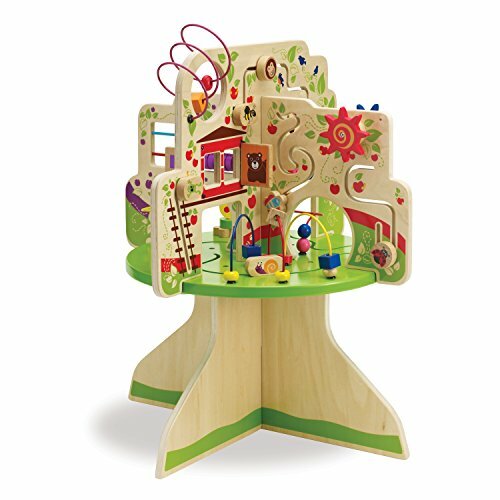 If you’re looking for a bigger piece to add to your child’s nursery, this activity center is a unique product. This is especially true if you’re going for a natural and woodsy theme for the nursery or bedroom. 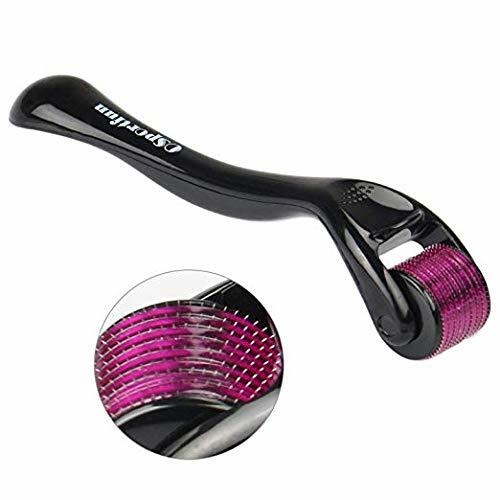 Many different activities come with this product, which is good if you’re looking for something that can keep their attention. Four quadrants are home to gliders, bead mazes, and other sensorial toys for your tot. This product is suitable for ages 12 months and above. 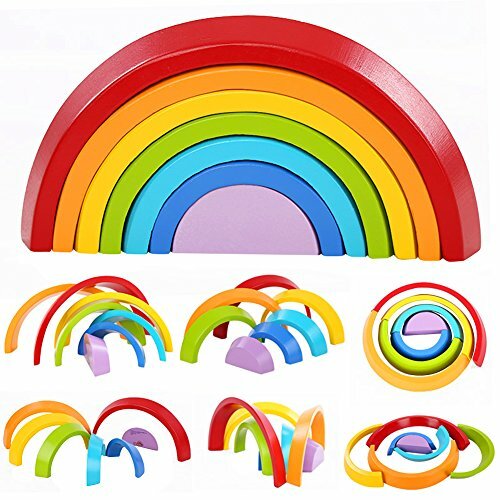 For parents who appreciate the Montessori way of learning, this stacking rainbow game seems to be a staple toy for any playroom. Stacking and nesting blocks play a major role in a child’s development with spatial awareness. Inspiring creativity, this rainbow version not only helps with this, but it also teaches about colors and encourages fine motor development. Suitable for children ages 2 years and above. 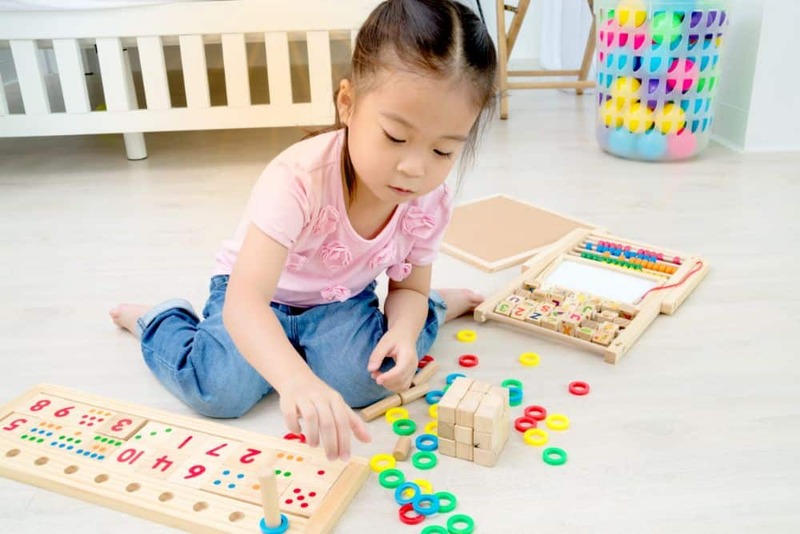 We often see wooden toys marketed for babies through preschool age range, but it’s important to be aware of the more sophisticated wooden toys for kids. 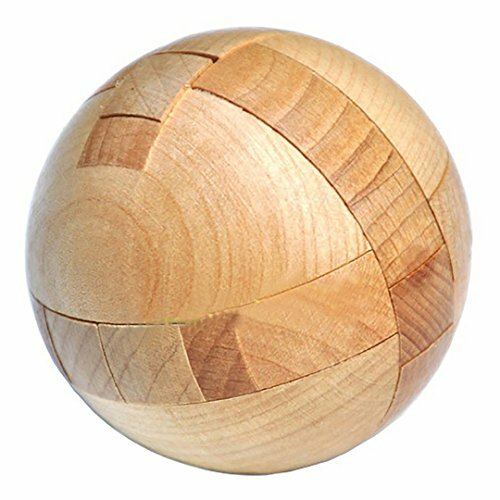 This wooden puzzle ball is great for children aged 5 and above. It makes for a fun way to exercise the brain and also comes with instructions, in case your child gets confused along the way. This is an appropriate toy for when you’re waiting at a restaurant or doctor’s office. Given its small size, at no larger than 2.5 inches, it can easily be tossed into a bag for transportation. 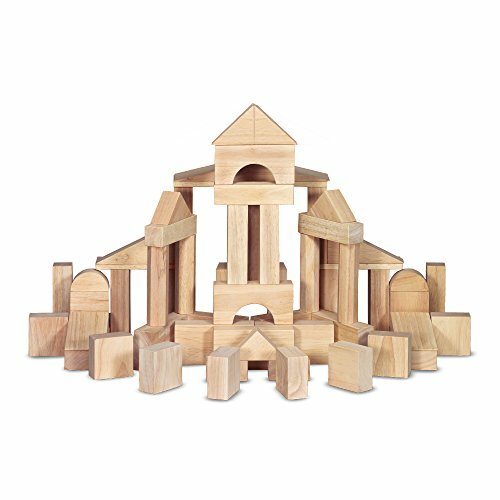 If going classic is more your style, consider checking out these building blocks by the well-known company, Melissa & Doug. This set comes with 60 smooth-sanded hardwood building blocks in a variety of 3D shapes. The icing on the cake is that the set also comes with a wooden crate for easy storage of the blocks. If you’re looking for a toy that’s going to last, these are a good choice. This set is recommended for children ages 3 and above and also comes with a 100 percent satisfaction guarantee. 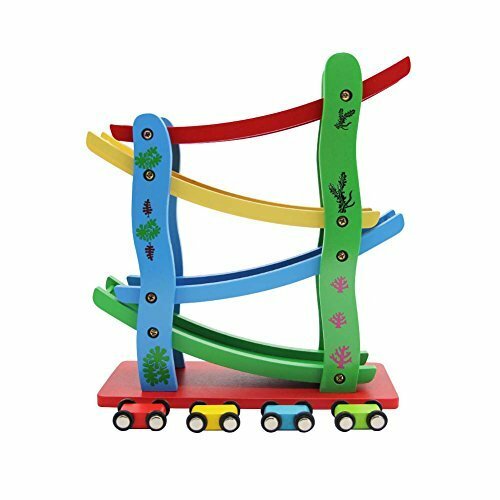 Made with durable wood and child-friendly paint, this two-in-one is both a ride-on toy and a push walker for toddlers. It has a sturdy frame and a bar on the back to help your child gain confidence in walking. 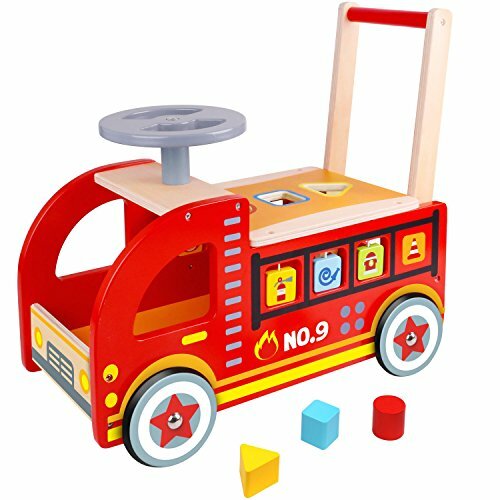 This fire truck also comes with wooden shapes that correspond to the holes on the seat of the toy. It has spinning details on the sides for added stimulation. If you’re worried about using this inside, rest assured. The wheels are lined with rubber, making it safe for use indoors. This wooden toy is perfect for ages 18 months and up. 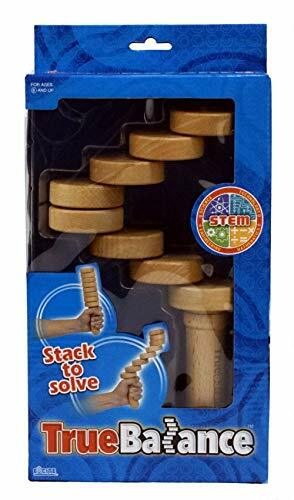 This STEM toy is a game of pure concentration and balance. The person playing must focus on the game and try to line up the magnets on all of the tiers to form a column. While this may seem easy at first glance, it can actually prove to be quite difficult. This product was the winner of the 2018 “Toy of the Year” Award by Creative Kids. It’s recommended for children ages 8 and above, and we have a feeling that mom and dad will enjoy this one as well. Another classic option is the dollhouse, a rite of passage for little girls (and many boys) everywhere. If you’re thinking about purchasing one, look no further. Standing at just over 2 feet tall, this dollhouse features three stories and six different rooms. It also comes with all the furniture you need to complete the space. Each piece is painted with water-based paint that’s non-toxic. Due to the included small pieces, this dollhouse is not recommended for children under the age of 3 years. 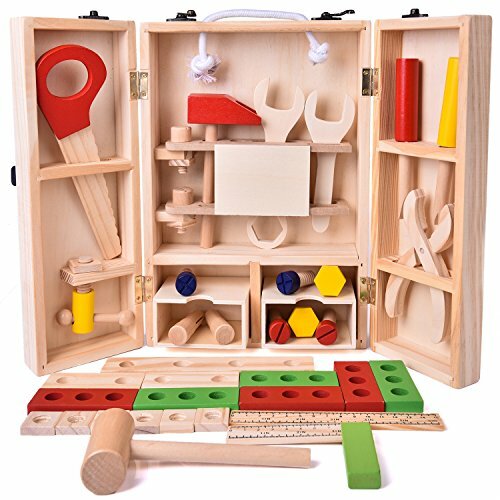 If you have a curious child who likes to manipulate things with their hands, this wooden toolbox is definitely something to consider. It comes with 43 pieces and is made of solid, durable wood that’s toxin-free and kid-safe. Children can practice their motor skills by making several different creations, including a dog, caterpillar, and a plane. The toolbox folds into a convenient carrying case which makes it the ideal toy to take along to keep your child busy. This set is recommended for ages 3 and above. Children are pretty independent creatures once they reach toddlerhood. This can make daily tasks and routines challenging to say the least. If you’re looking for something that can make washing hands a little easier, this puzzle bench may be the jackpot. The personalized stool is made of Ponderosa pine and stands about 9 inches off the ground. 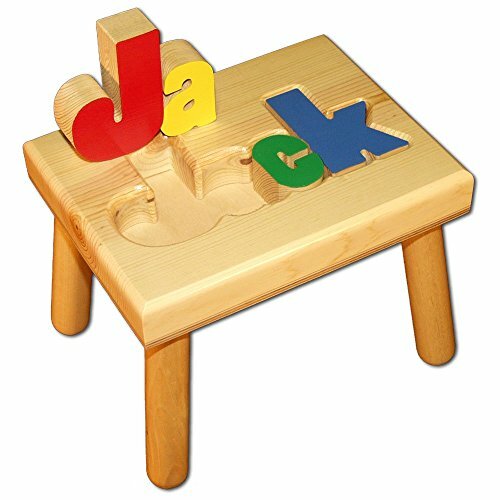 Each letter in the puzzle spells your child’s name and is painted with non-toxic, water-based paint to ensure the safety of your child. The only downside to this product is that there is an eight-letter limit, or seven if you’re using two names. This bench is best for children ages 18 months and over. This is a fantastic option for parents who want to work on color recognition with their child. It’s a game parent and toddler play together, where you help the bees each find their correctly colored home. Besides color recognition, this game is also great for working on fine motor skills. The recommended age is 3 and up, due to the bee’s small size. This maze is very similar to the ones you might find in children’s play areas as well as some preschools. The objective of the maze is to use the pen to guide the magnets to the correct spot. 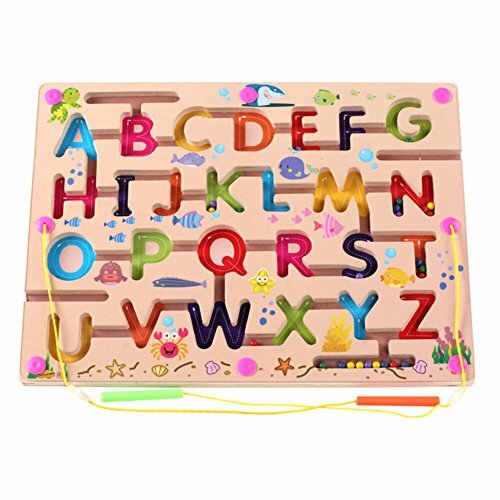 In this particular alphabet maze, children can move the magnetic beads to each letter and then trace the letter to get the beads out. Not only will this help with their critical thinking and fine motor skills, but it also gives them some writing practice too. Suitable for ages 3 and above. Is your child ready for basic word recognition and spelling? This durable puzzle could help you out. It comes with eight double-sided cut-out boards as well as the letter pieces to fit the word indicated on each board. Your child will work to identify the picture and then the letters that go into spelling the item pictured. 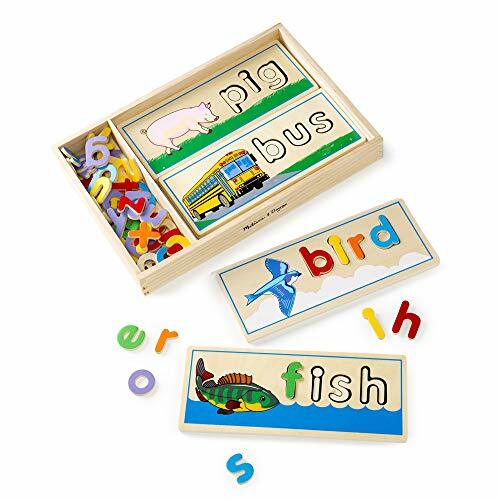 All of those small pieces may make you want to cringe as a parent, but it comes with a wooden storage crate, with a specific spot to store letters in. Like all other toys by Melissa & Doug, this product comes with a 100 percent satisfaction guarantee. The toy is recommended for children aged 4 and above. 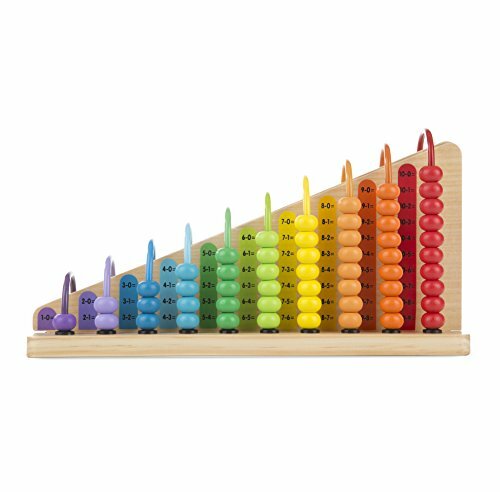 If your child is interested in math and counting, this abacus is another classic option often seen in Montessori classrooms. Not only does it help enhance your child’s math skills, but it also encourages pattern and color recognition as well. It comes with an interchangeable board, so you can choose to work on addition and subtraction or color matching. Suitable for ages 3 and above. If your child loves Hot Wheels and other car toys, this is for you. This wooden racing toy comes with four racing cars, as well as a four-layered ramp to zoom the cars down. It’s useful for enhancing a child’s hand-eye coordination and tracking skills. As it’s lightweight and quite compact, it can easily be stored on a shelf. Best suited for children aged 3 and up. Playing with wooden toys requires a child to really embrace their imagination and think creatively. These are important skills that your child will need as they grow and develop. There are so many different types of wooden toys for kids, but my personal favorite is the Melissa & Doug Dust! Sweep! Mop!. I love that the housekeeping items are the perfect size for older toddlers and that it helps foster independence. What are your thoughts on wooden toys? Does your child have any of these in their playroom? We want to know, so leave us a comment below.